Squires Kitchen has been creating, manufacturing and selling products for cake decorating and sugarcraft for almost 30 years. The company has built its reputation on high-quality, innovative products which are available to customers all over the world, including everyone from professional chefs to sugarcraft hobbyists. 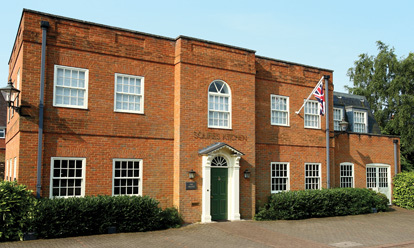 In addition to its flagship store in Farnham, Surrey, Squires Kitchen welcomes thousands of students to its International School every year, has an online shop and worldwide mail order service, a manufacturing unit in Hampshire, publishes several glossy, consumer cake decorating magazines and a growing portfolio of books, and hosts Europe’s longest-running annual cake decorating exhibition. A creative and fast-growing company, there are many more exciting projects in the pipeline. Squires Kitchen International School was founded in 1987 to share the company’s extensive knowledge of cake decorating and sugarcraft. With the help of talented teachers and passionate students, it has become an internationally recognised seat of learning and a centre of excellence which brings people from around the world to learn with Squires Kitchen. The philosophy for the school centres around giving students the ‘Confidence to Create’ in an inspiring and friendly environment. The UK has a particularly rich heritage in the use of sugar, and its history is a fascinating one. Squires Kitchen is extremely proud to continue this wonderful heritage in our world-famous school, our high-quality products and magazines and now, in this comprehensive cake decorating guide. To find out more about Squires Kitchen International School or to book a course please visit www.squires-school.com. For more information or for trade and media enquiries, please call 0845 61 71 813 or email enquiries@bdutton.com. © Copyright B Dutton Publishing Limited 2014. For permission to use any material featured on this website please email enquiries@bdutton.com.